After I finished Colt’s birth story last month several of you asked if I would share Nic’s adoption story. So, over the next series of posts I will share Nic’s story. Many of you have read large portions of this, but I will also cover details that I haven’t shared before for those who are looking into adoption. While every country and every adoption is different, and the process is always changing, I hope this gives you a little insight. I don’t share our story here because I think that we are in any way "a special family so we did a special thing". Our family is no different than anyone else's in the sense that we are all sinners. We all lose our patience, worry, get hurt, among other things. The only reason we can do anything is because we know that we serve a Great, all powerful, Almighty, All-knowing, Sovereign God who is with us through everything. Still even knowing that we sadly can become like the panicked disciples on the boat in the storm or Peter on the water sinking in a moment of weak, sinful, faithless, fear. 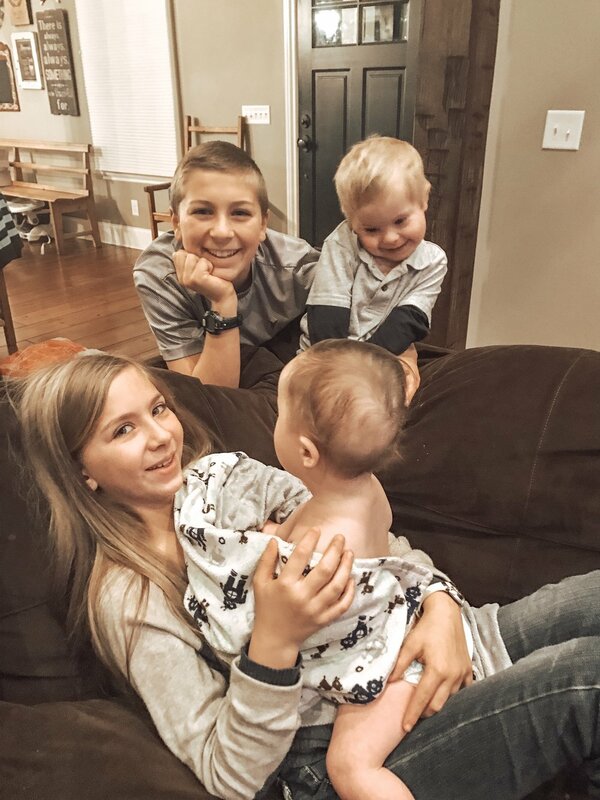 I am ashamed to admit that there are over 163 million orphans in the world today and, except for some pity or shedding a few tears at a story every now and again, our family had never considered doing anything about this until after Colt was born. The Bible is clear that the task of caring for these little ones belong to followers of Christ. We were not even praying for these orphans. 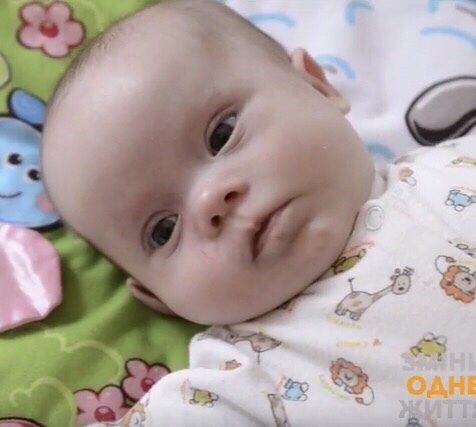 The question we asked should not have been whether to be involved in the ministry of orphan care, but HOW, and yet we did not grasp this until God gave us a precious baby who happened to have an extra chromosome. We had never considered adoption before but while participating in our first Buddy Walk for Down syndrome after Colt was born we came across Reece’s Rainbow, a ministry whose mission is to find families for orphans with Down syndrome, and read that in other parts of the world these children are viewed as outcasts with no ability to learn or be functional members of society, languishing in mental institutions, hidden away from the world in shame — our heart broke for these children. We saw their faces and pictured Colt being born into those circumstances. From that moment on, we wanted to adopt a child with Down syndrome out of one of these orphanages. We put the Reece’s Rainbow magnet on our refrigerator and said that “one day” we were going to adopt. Taking the leap from wanting to adopt to beginning the adoption process is a giant one. As much as we had the desire to adopt a child with Down syndrome, I wondered if we would ever REALLY do it. The cost was astronomical… Who has that kind of money? The logistics seemed impossible... Who can take time off work or leave their other kids at home to fly across the world? Plus, really, we are not the adventurous type that do this sort of thing. What if this child had all sorts of emotional problems that put strain on the family? What about our other 6 children? So many fears and doubts that crippled us from being obedient to what we knew our family was called to do. ***Part 3*** We stared at the children on Reece’s Rainbow for almost a year with hearts longing to bring them home but weak with fear. During this time, I began to read the blogs and follow others on Instagram who had adopted children with Down syndrome. Among those, I followed Kecia @lovemakesmiracles_ story of adopting Noah. As I scrolled through Instagram one day, a picture popped up that Kecia had posted of a baby boy, “Domenic,” from Reece’s Rainbow waiting in an orphanage for his forever family. I cannot explain how or why, but at that moment I knew Domenic was our son. I showed the picture to Jim and the kids. This was the first time we seriously considered moving forward with adoption. Every one of our children wanted to adopt and eagerly volunteered to make the necessary sacrifices that would go into it. God had already given us His answer in James when He told us to look after the orphans and when he put the desire in our family’s heart to adopt and gave us the home to bring a child into. We just needed the courage. By that I am not referring to the courage to adopt a child with Down syndrome. We never thought twice about the issue of Down syndrome. We know that there is nothing scary about it and many others don't realize this. People within these children’s countries will NOT adopt a child with Down syndrome so if others from outside do not do it, they have no hope. This made us feel even stronger that our family had been called to this specifically. We discussed the fact that if a child with Down syndrome was dropped off at our house needing to be adopted we would do it in a second. But this wasn’t a happy, cooing child being dropped off at our door in a cute little basket. That is when we realized we would cross the ocean or give our lives for every single one of our children, and the only thing holding us back from doing the same for a child, ‘our boy’ in an orphanage in Ukraine, was fear, and God is so much bigger than any of our fears. He determines the number of stars and gives them all their names. He is powerful and faithful and we needed to trust in Him with the details of the plans. We made the exciting but scary first step of contacting Reece’s Rainbow and were told that there was a family that might already be committing to Domenic. 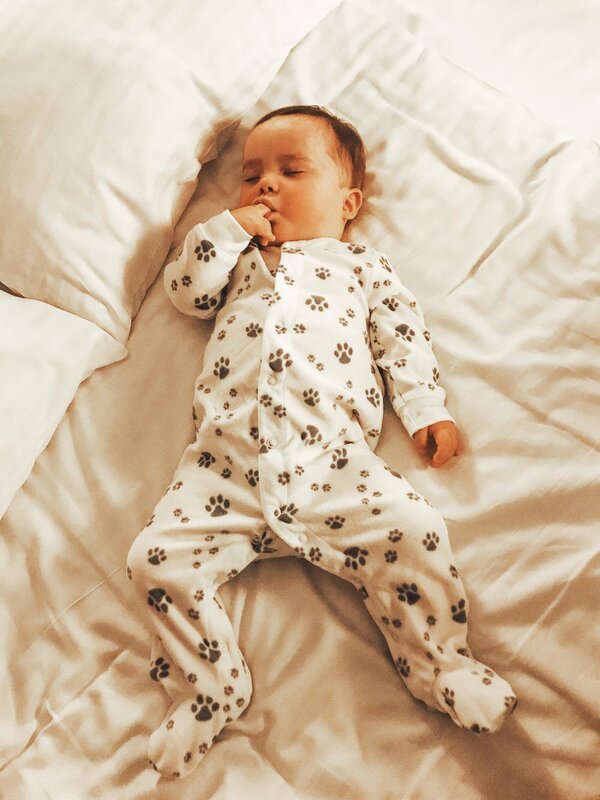 I was so sure that he was our son but also relieved that this precious baby boy would have a family coming for him either way. Several days went by and we could not get Nic out of our minds. I delayed calling Reece’s Rainbow because I “KNEW” that Domenic was our son and that would mean taking the leap of faith into adoption. When my emotions could not handle waiting another second, we made the call and were told that the other family had not committed and he was available to us. I cannot describe the level of nervous excitement that we felt at that moment. We made a verbal commitment and began the crazy adoption process the first week of July 2016. 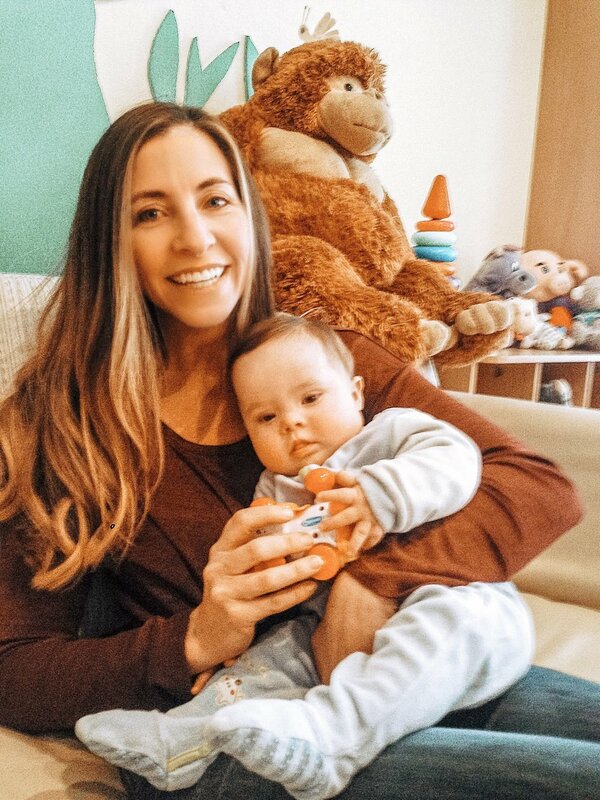 At that point the only thing that we knew about Nic was what Reece's Rainbow listed on the web site "Baby Boy, Born 2016, Down syndrome" and we had just found out that he was in an orphanage in Ukraine. This is all we knew about him until we arrived at his orphanage 5 months later and we already loved him. Receiving those first emails from Reece’s Rainbow about what country Nic’s orphanage was in and what the cost and process was to bring him home was somewhat terrifying. I called my sister anxious with concerns over the immediate need for funds that we did not have. Her response was, “I will fundraise that first amount for you! We can do this!” My parents responded with excitement and assuring us that they will do anything we need to help and watch our other children when we needed to travel. This encouragement was so needed and pushed us forward during the time that we were fighting doubts. Adoption is an emotional, unpredictable process. We went into the adoption knowing that we would experience trials. We could think of a hundred reasons why the timing wasn’t right, or people would criticize our decision. We also knew that if we waited a lifetime trials and hurdles would still exist but that one day in our home with love and provision is more than this child might have in a lifetime. As expected, the trials came, highs and lows came, throughout the emotional roller coaster of adoption. I broke down crying on the phone to a FedEx guy one day, our insurance company another day, and those weren’t even the trials. Jesus never promised that following Him would be easy, but He did promise to go with us. We saw Him provide for us throughout every single trial and step and put so many people in our lives to support and encourage us throughout the entire process. From our sisters, parents, brothers and sister-in-law, Aunts, Uncles, cousins, friends, coworkers, students, church family, old friends and strangers, the outpouring of love and support in donations, prayers, sharing through social media, encouraging notes, was truly amazing and a constant reminder that if we are obedient to something God has called us to, it won’t necessarily be easy, but He will provide the way. Everyone who helped us in one way or another shared an equal and important part in bringing Nic home. This is so important for me to emphasize because many of you want to do something for these orphans but cannot adopt. You play just as valuable a roll when you come along side adoptive parents. Please do not underestimate how important your individual roles are in orphan care! Nic laid alone in that orphanage crib with no idea how loved he was already by so many and our hearts were aching to show him. We worked frantically to get to him, so he could experience this love that he had never known. One of the biggest deterrents from adoption for most people can be the cost. “It’s like you’re buying a child” is a comment that is said often by either rude or unknowing people who have never opened their eyes to the orphan crisis. It can be a high cost, not just financially, but if one is going to view it monetarily then they could better describe it as “paying the ransom” for a child that is being saved. Raising funds can be a humbling endeavor. No one wants to ask for money. I get embarrassed just writing about it. But, as I said, adoption cannot be done alone. We knew that it would take the Body of Christ functioning as God intended it to in order to bring Nic home. There are many people who would love to adopt but do not because they do not have the finances (really, who DOES have an extra $20,000-$40,000 sitting around?) and there are also many people who cannot adopt but would love to help participate in orphan care and have the funds and generosity to give. But until both individuals trust in the Lord to serve in the way they have been called to, the orphan's wait. We trusted God to provide the "ransom" and He did in astounding ways. We received donations from so many people who wanted to help bring Nic home. Even the smallest donations meant so much to us because it showed love and support that is so needed during the emotional adoption process. We were in complete shock and tears when we received a check to reach the "fully funded" mark. After we were fully funded others still wanted to be a part of helping Nic and asked if they could donate to any medical bills. We were in complete awe of the faithfulness of God. It does not always go this way with fundraising but there other funding options, such as grants, loans and organized fundraisers that can be done. I've been told that some domestic adoptions can be done almost for free. But whatever the cost, orphans all around the world need us. THE ADOPTION PROCESS... Just some of the tedious details you might want to know if you are looking into adoption. This process is completely different for every country and it has even changed for Ukraine since we were there. The first part of adoption is pretty standard wherever you are adopting...completing a Homestudy. This involves a social worker visiting your home multiple times, conducting numerous interviews with EVERY member of the family, many background checks, fingerprints and endless paperwork. You choose your Social worker from local agencies. This is a VERY important decision so get referrals and do your research. You will want one that you enjoy talking with and getting together with, because you will be dealing with them A LOT as well as one who is timely and efficient because your adoption may depend on this and you will go crazy if they are not. In our case, we also wanted a Christian organization who understood WHY we chose this path and the heart of the Gospel. While this takes place we also had to fill out the endless required paperwork for Ukraine’s government. Reece’s Rainbow had referred us to a facilitator, "Hand of Help in Adoption" who “held our hand” through the whole process. We could not have adopted without Nancy. She is THE BEST! All of this paperwork had to be notarized, then certified by the county clerk and then Apostilled by the Secretary of State before it was handed over to US immigration for approval. Once US immigration has approved the adoption all of the final paperwork is mailed to the Ukraine facilitator. The Ukraine facilitator has to translate every piece of paperwork to be turned in to the Ukraine department of Adoption. One has never known the stress of waiting for the mailman to arrive with a necessary document or the amount of frustration you can have at FedEx (who I will never use again) until you have gone through the adoption process. In my mind the act of someone delaying paperwork in any way was the equivalent of knowingly leaving a baby lying in a crib, unloved, malnourished, and not caring. I know that they didn’t know this or understand the urgency, but that was how important it was to us. Once Ukraine's government has approved the paperwork they will send the "DAP Appointment date." This could be 4 days notice, as in our case, or 4 weeks notice. At that appointment they show the child's file, look at our paperwork and conduct a short interview. They then issue a referral to go visit the orphanage and meet your child. More on that meeting tomorrow, but the next step after meeting Nic...we sat with the director of the orphanage and were told any details about his history that they knew, which was very little and were asked if we accepted the referral (meaning we were definitely go to adopt him) or rejected it. We knew our answer before we ever landed in Ukraine. We just wanted to get him home!! At that point we had to wait to see when the court date would be issued. We waited in Ukraine for over a week, visiting Nic twice a day. When we still were having trouble getting our date we decided to fly home and wait which was hard to leave Nic but ended up being wise because the date we received ended up being almost a month away. The waiting was so hard. We then flew back in time for court and to visit Nic and immediately flew home again. There is then a required 10 day waiting period (I believe that has increased to 30 days now). We flew back to Ukraine to be there immediately at the end of the 10 days and begin the "paper chase," in other words getting Nic's passport, filing paperwork at the US embassy etc. Ten days later we were flying home with our baby boy!!! That's the process, more on the story of it in my next post. We committed to adopt in July 2016 and on Thanksgiving day 2016 we received the phone call that we would be flying to Ukraine for an appointment with the Ukraine government in 5 days. We arrived in Ukraine with zero sleep but running on adrenaline. At this point the only thing that we knew about Nic was still, “Born 2016, Down syndrome” and our excitement to hold him, show him love and learn about our boy could not get any higher. We had our interview at the department of adoption where we received our referral and also learned a few things about Nic that I had been so anxious to know. We learned that he was 11 month old and his birthdate was January 22. 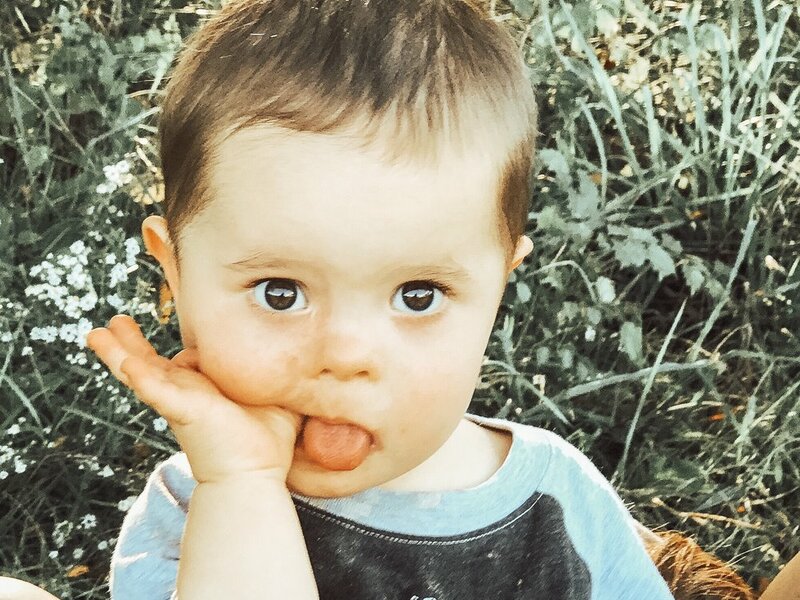 He had been left at the hospital at birth when his parents found out that he had Down syndrome. We were then told that we would be allowed to meet Nic for the first time in his orphanage the next day. We would be his very first visitors. Overwhelming excitement that the moment we had dreamed of had finally arrived, but probably more comparable to the jumping out of an airplane, wide eyed, knot of fear, kind of excitement. We had been told by others that babies in the orphanage spend a majority of the day in their cribs staring at the ceiling, sedation is used in some orphanages and that even in the “good orphanages” the trauma of neglect or lack of love and attention can have a devastating toll. We had no idea what to expect but had already decided that whatever Nic was like, whatever health issues he might have, whatever trauma he might have experienced, he was our son. We nervously talked with the orphanage director through our facilitator and then were led down a dark, eerily quiet hallway to the brightly painted visitation room where we took a seat on the couch next to oversized, stuffed monkeys and pink elephants. My heart felt like it could have beat out of my chest while waiting to meet Nic. Throughout the adoption process I could only dream about this moment and what it would be like to finally hold Nic in my arms. We didn’t know how he would respond and had emotionally prepared ourselves for “worst case scenarios”. Then in one surreal moment, a woman entered the room carrying our baby boy and placed him in my arms. He felt like a soft ragdoll as he cuddled into me with the muscle tone of a newborn baby due to the first 11 months of his life being spent alone in the orphanage crib. His little hand wrapped around my shoulder. This was probably the first time he had ever left his orphanage room since he had arrived, but he was calm and quiet as his eyes looked around the room at the new sights. The team of facilitators and orphanage director left the room to give us time alone with Nic. Jim had sat back and given me my time to hug Nic, but now he had a chance to hold him for the first time and I just watched the love, taking in everything. Nic didn’t know how to make eye contact. He had a funny way of shaking his head back and forth every couple minutes, a common habit formed by children in orphanages as a mechanism for soothing and stimulation in their cribs. He could only hold his head up for short periods of time. He was expressionless and distant and my heart broke knowing that this was the first time he had ever felt love. There was no love or joy in his eyes, but I couldn’t have defined that emptiness then as much as I realize it now when looking back. I didn’t realize what was inside of him that just needed love to bring out. We were allowed to visit him twice a day for the next week and before the week was up he was already showing us his beautiful, toothless smile. He jumped at the sound of his own giggle the first time we tickled him and he loved being held up in the air. I was so worried that he would think he had been abandoned once again when we had to fly home to wait for our court date but I knew that it wouldn’t be much longer before he would know just how loved he was and never have to be alone again. On January 12, 2017 we walked out the doors of that orphanage where Nic spent almost the first year of his life. Not a single person was there to say goodbye, but he arrived home to be greeted with the hugs, kisses and love of cousins, grandparents, aunts, uncles and siblings! We celebrated his 1st birthday one week later. The first year of his life was spent alone in an orphanage crib, but he celebrated his 1st birthday surrounded by a mom, dad and six siblings! What a beautiful day! All six of his siblings, including Colt, were in love with him immediately. They have all learned more about God's love and faithfulness and giving of ourselves for others through this process than any lesson book could ever teach them. Day by day Nic’s smiles and giggles started coming easier . He learned to cry because someone loved him and would answer his cries. One of the most eerie aspects of the orphanage is the silence. Rooms full of children but hallways so silent you could hear a pin drop as children have learned that their cries will not be comforted. .
His head shaking completely stopped within weeks of being home. One of the hardest parts was his trauma in regards to food. He would not stop eating when he was fed and became upset EVERY time the food was pulled away. His blood tests showed malnourishment when we arrived home and we knew that this would take time and healing. Today he has minimal food issues, but they are still lingering and we remain aware and sensitive to this trauma.
. We know that there might always be scars that we will be sensitive to, but by God’s grace, 19 Months later, Nic has been transformed by unconditional love. What a beautiful picture we have been given of our adoption into God’s family. Chosen while we were still sinners, broken, hurting, with nothing to offer...Ransom paid by the precious blood of Christ...Made a child of God’s and transformed by His love. The scars of our old self might remain in this life, but we are forgiven and made new by our Father who loves us and hears our cries and nothing we can do will ever separate us from that love. Not every adoption story is a happy one. Regardless of Down syndrome or adoption, each day brings with it new trials, but God’s mercies are new every morning. It’s not about the “fairy tale ending” but walking by faith, uncompromisingly and courageously following God regardless of the earthly outcome, loving because He first loved us. What might be the life that we would never have known to choose, we live in joy or through affliction, trusting in Him and his promises. 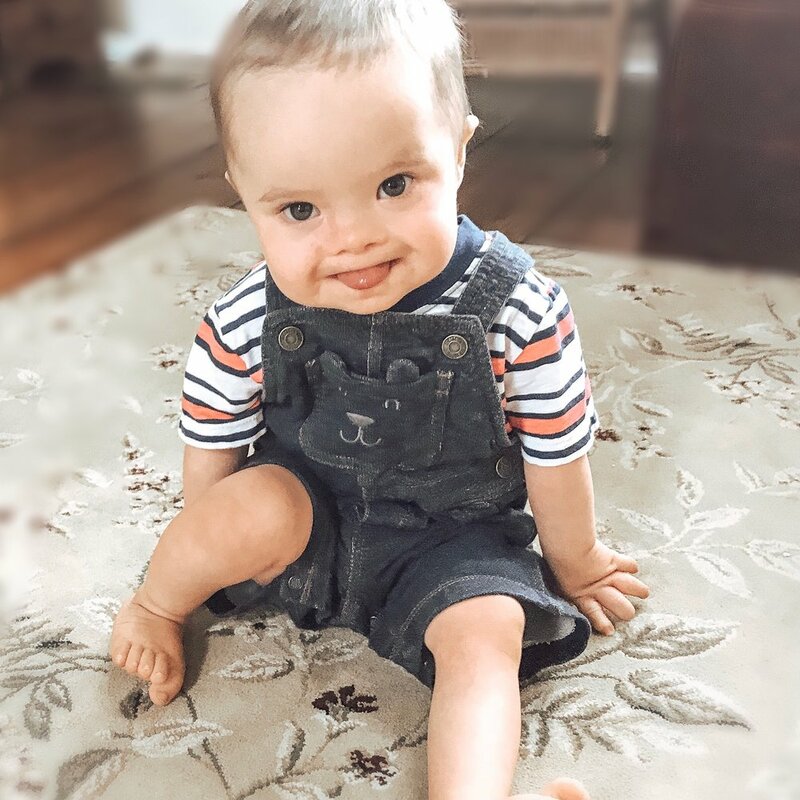 We never knew we wanted a child with Down syndrome until Colt was born and we learned that what we never would have known to ask for was an amazing gift from God. 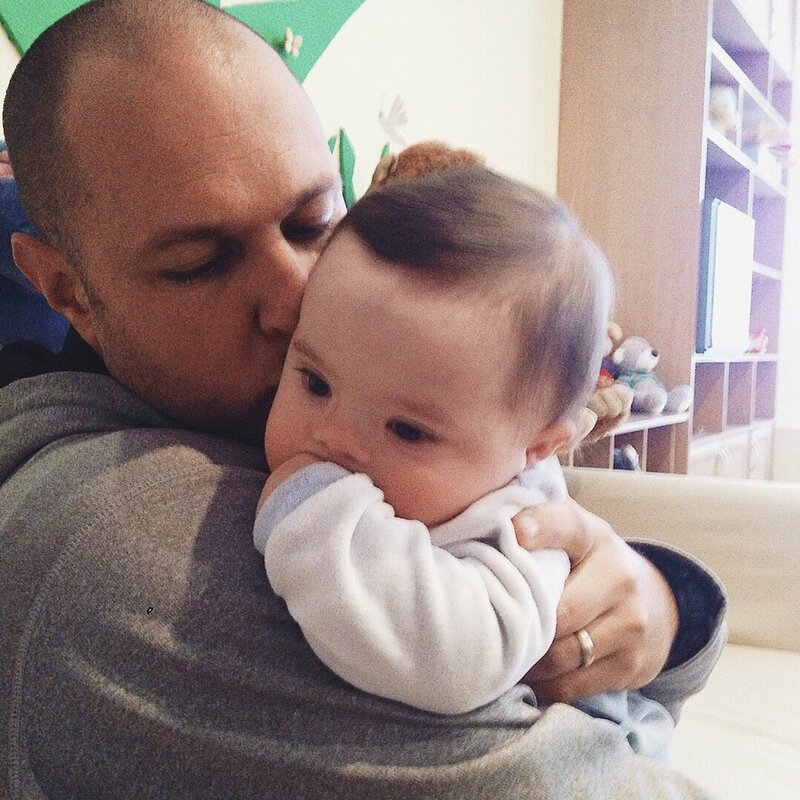 We had never considered adoption, or adopting a child with Down syndrome, and now cannot imagine our life without Nic. I am so thankful that God’s thoughts and ways are not mine and as the heavens are higher than the earth, so His ways are higher than mine, because if life had gone according to my thoughts and plans, I would have missed out on all of this! I might still be looking at children with different abilities with a bit of sadness instead of celebrating those differences and seeing the gift in them. I might still fear a diagnosis or adoption instead of learning to walk in greater faith. 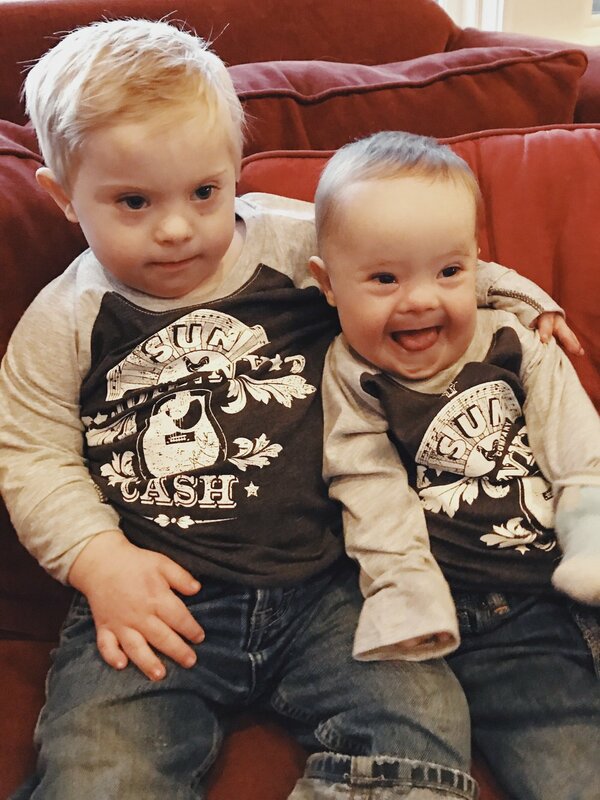 I would have missed out on the smiles and laughter that Colt and Nic bring every day and never have seen the beauty in The way God chooses to use the innocent, love and joy of two little boys who happen to have an extra chromosome. Praise the Lord for continuing to grow our faith that we might have the courage to follow him wherever he leads. While this could be a series all on its own, I’ll try to summarize a little. I don’t think I could possibly fathom how brave and resilient our boy is, calmly adjusting to life in a boisterous family of 9. I wanted him to sleep on me in the beginning in hopes of attachment, but he craved the silence of his crib. Often when we would hold him he would want to be put down and just lay on his belly sucking his fingers by himself. I hated this, because I wanted him to feel our love but I knew he needed it. He still will occasionally do this but now loves cuddling too. He would have laid awake in his crib for hours if we didn’t check on him. He never cried. Probably 1 month after being home, in the middle of the night, he cried for me. As I rubbed his back he became quiet and as I slowly got up to leave his bed he started to cry again. I returned and rubbed his back until he was quiet. The cycle continued and I was never so happy to be up in the middle of the night with a crying baby. He now “yells” or makes noises for us when he awakes and I’m waiting for the day he will yell “mama”! Food was difficult. He could only eat puréed food for the first 8 Months of being home and finally at 20 Months old we were able to slowly start incorporating solid food. He did not know how to stop eating and could eat 3 days worth of food and then throw it up, but became very upset when it was pulled away. This just took time, measuring and understanding. He’s doing so well now. From there he has continued to hit milestones. He is still nonverbal but has begun to learn sign language. His smile, laughter, and love is the biggest change and that has just come one day at a time until we look back and realize that we don’t even recognize what he used to be. **Picture is from Nic's first summer with us.